MyHeritage has been changing the lives of others since 2003 when the company started in a humble garage. The roots of MyHeritage are clear and exciting, which is exactly what they wish to make possible for you. MyHeritage simply strives to fulfill their values of compassion, diversity and innovation in everything that the genealogy services offer. 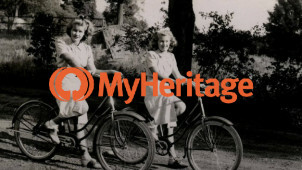 Having created over 45 million family trees and with access to 9.6 billion historical records - MyHeritage is a platform that you can trust with your past. From unveiling facts and records that may link to your heritage, to letting you source the most valuable information about your family members and yourself, with MyHeritage you don’t have to give up on your genealogy research! Start my building your MyHeritage family tree for free online before you continue to unlock heaps of interesting features and add-ons. Whether you’d like to see what comes of a MyHeritage DNA test, or scour the census records for helpful details about your ancestors - the choice is yours. Available in more than 196 countries and helping millions of users around the world discover a little more about where they are from, let yourself be flabbergasted by what MyHeritage.com has to offer. How do I use a MyHeritage voucher? Choose your voucher and select it to display further instructions. Your discount will be applied automatically as you sign up to a MyHeritage subscription. Follow MyHeritage on Facebook and Twitter to stay in the know about money-saving opportunities! How do I order a MyHeritage DNA kit? Simply select the ‘order DNA kit now’ button online and you’ll be sent all you need in the post. Will MyHeritage DNA test and results be kept confidential? You can rest assured that your details and DNA data will be protected and secure with MyHeritage. How much does MyHeritage cost? You can sign up to MyHeritage for free. You will then have the option to go premium and unlock other benefits. Access your DNA results with your MyHeritage login. Simply select the ‘DNA’ tab and then ‘Overview’ to see the different breakdowns of information. You can do this by logging in and going to ‘account settings’ where you will see the option to delete your MyHeritage account. Call MyHeritage: (+44) 080 0098 8125 for 24/7 support or access the online Help Center. Are you feeling a little inquisitive about your family’s past and your genealogy? Now you can make sense of everything you know with a boost from MyHeritage. Simply use a MyHeritage voucher to unveil your family history with ease. Build your family tree and get detailed insight on your past with a MyHeritage DNA test and multiple other resources available. With so many paths to go down, now you can discover something life changing, without a hefty cost. Ordering a MyHeritage DNA kit will put you in touch with the highest precision in technological standards, at an incredible price and in as little as 4 weeks too. Request your MyHeritage DNA test kit today and join millions of others in uncovering your origins and even relatives. Showing incredible results, many people have even been reconnected with family members that now they couldn’t live without, you never know where a DNA kit could take you. You can download the app and start building your MyHeritage family tree on the go. This user-friendly way of discovering more about who makes up your past is a surefire way to realise how much there is to your family’s history. The MyHeritage offers available at vouchercloud will allow you to start creating your family tree for less. Combine this with DNA matching and more from MyHeritage.com to find what you’re looking for, and possibly more.